...which means £353.22 per pack, including VAT and Delivery! Ideal for patios (not driveways). 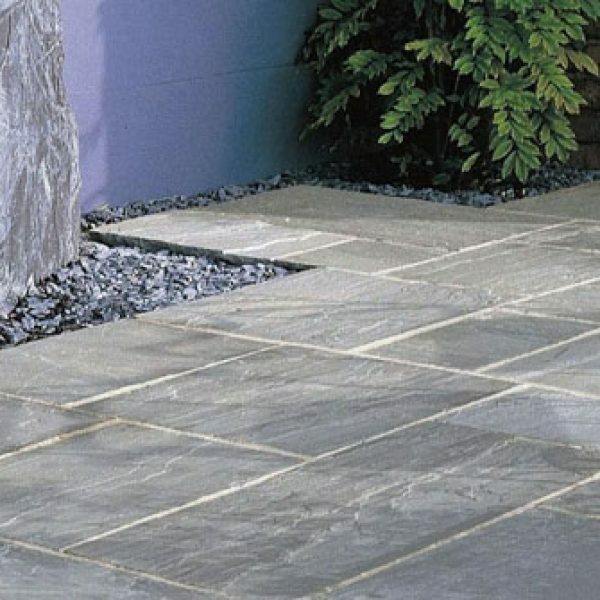 This KANDLA GREY paving is currently on SPECIAL OFFER at just ﾣ18.99 per sq/m or ﾣ294.35 per pack + vat, which INCLUDES DELIVERY. This covers an approx area of 15.5m2 when laid using a 10mm joint. 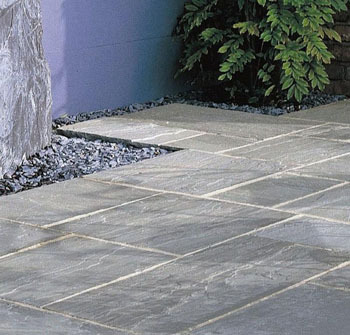 This premium product is ideal for domestic patios as it has been quarried slightly thinner than the standard material. Also, it is easier to carry, easier to lay, easier to cut, and is in no way detrimental to the product. SOLD IN FULL PACKS ONLY !! !